Novice Fairbairns (2700km) took place on Thursday 4th December with all five Fitz novice crews taking to the water and Senior Fairbairns (4300km) on Friday 5th December with M1 and W1 taking part. NM1 and NM2: The ongoing rivalry between NM1 and NM2 came to an epic conclusion as both crews put in fantastic performances. NM1 were at a slight disadvantage having had a late drop out but still came in 12th place in division 1 with a time of 10:58. NM2 however managed to overtake Girton and post a time of 10:49 placing them 9th overall and 9 seconds ahead of NM1 as well as being the second fastest second boat. 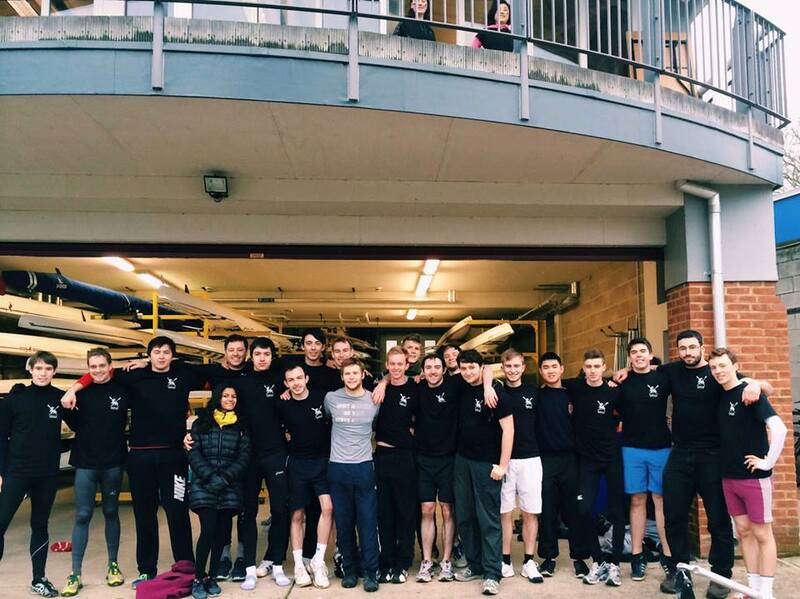 NM3: As their first and last race of term, NM3 put in a solid performance in what was an eventful race. With a crab on the build to the start, followed by a crash into the road bridge, a seat falling off, shoes falling off and many more crabs, they managed to post a time of 12:54 placing them 18th out of 45 boats with some solid rowing towards the end. NW1: Despite last minute boat changes, NW1 had an incredible row with no crabs and no blades coming out of the gates leading to a great effort in posting a time of 12:33, placing them 13th in Division 1. NW2: NW2 had a good start but then caught a crab near the very beginning. This was followed by an amazing recovery nad restart with a solid row towards the end. All the girls have come a very long way, and held their technique together even when they were tired. With a time of 13:24 then placed 28th overall and were 8th among second boats. M1: With most of the crew running on 2 hours sleep and caffeine following on from the ball the night before, in combination with the earliest division of the day (who would do that to us!? ), they posted a solid time of 15:11 coming in 15th place. This placed well amongst first boats and was up 7 places on last year with around 40 seconds off the time. W1: With a similar story to M1 in terms of sleep, they put in a great performance to post a time of 17:55, placing them 12th in division 1. This again placed well around first boats and was up 4 places on last year, taking 25 seconds off the time. It’s been a good term Fitz! With M1 and W1 both winning their divisions in the Winter Head and both posting solid times in Fairbairns, as well as the mens novices dominating Clare Novices and Emma Sprints, it looks like it’ll be a good year! ← Clare Novices Race Report – #NMTooGood?